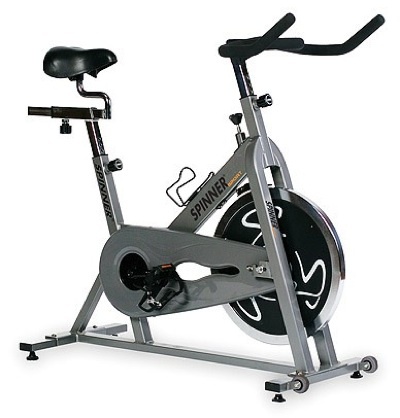 The Husband has wanted me to try an indoor cycling class for a while now. I didn’t want to. I came up with so many excuses. Then he talked me into just riding a spin bike for exercise at the Y (not a class). Oh my heavens! The pain that seat inflicted was with me for days and I was only on that torture device for 15 minutes. Well, he didn’t stop pestering me about trying an actual class. I really didn’t want to. This morning I was out of excuses and he says, “we’re going.” I didn’t want to… but I did. Fortunately, the instructor told me to make sure to take it easy my first time out. She said I needed to get used to the bike – um, no kidding (ouch). My muscles didn’t burn (which is a nice side effect of this vegan diet) but I could feel them becoming fatigued. The only things that hurt were my backside and my foot. I did have a few moments during the “standing hill climbs” where I thought I might throw up. This meant it was time to sit down. There was no way I wanted to christen the bow of my bike with puke on my first time out. Will I do this again? Yeah, I think so. This entry was posted in Brick Removed by Jules Lane. Bookmark the permalink.